Generating a strong return on investment requires marketing campaigns that deliver more revenue than costs, new customers that become lifetime buyers, and messages that motivate the current customer base. Specialized campaigns may focus on acquisition or retention but every successful marketing investment needs to include a plan for generating revenue. The promise of future benefits from engagement activities is alluring but fiscal responsibility demands specific plans for revenue generation. How much money was wasted over the last few years on marketing campaigns that didn’t deliver tangible results? If the truth were told, it was probably the most wasteful time in marketing history. New channels created a competitive frenzy of one-upmanship to see who could deliver the most viral content with little regard to bottom line management. Proven strategies were left behind in the search for the most fans, followers, and views. In theory the increased exposure would deliver more results at less cost, but it didn’t work for most companies because their marketing team forgot the fundamentals. The purpose of marketing is to motivate people to spend their money with your company. It’s that simple. If your marketing isn’t moving your customers and prospects closer to buying your products and services it is a waste of resources. When new channels and opportunities appear, it is hard to know if they will work for your business. Creating well-defined tests to measure cause and effect is part of an effective strategy. 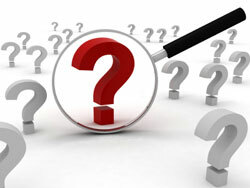 Asking the following questions before running any campaign will significantly reduce risk and insure success. Does it benefit our customers? The best campaigns have customer benefits that are easy to understand and define. Itemize the benefits so everyone in your company has a clear understanding of them. This makes it easier for team members to share the information with customers and partners. Will it make money, reduce costs, and/or improve service? Notice that this question doesn’t include “increase sales”. More revenue doesn’t always translate into bigger profits. Anticipating a return increases the likelihood you’ll receive it. Projecting a specific amount creates a goal and vested interest in achieving it. Are the corporate benefits long-term, short-term, or non-existent? Too many campaigns are planned today with fingers crossed hoping for a miracle. Requiring tangible corporate benefits is good business. Creating a timeline is solid planning. How do our success metrics affect the bottom line? Fans, followers, and video views make great cocktail conversation but how do they really affect your business? If the people participating in your community come from your customer database, social activity will benefit your company. But, if they are from the general population, odds are against a profitable outcome. What happens if we don’t run the campaign? Asking this question removes the stardust from most marketers’ eyes. If there isn’t a significant reason to run the campaign, why do it? Your resources would be better spent creating one that will make a difference. Test campaigns are the exception. There may be so many unknowns that the questions can’t be answered well enough to justify running them. Run some tests anyway because failing to include testing in your marketing strategy reduces innovation. The best strategies find the right balance between proven tactics and new opportunities. Invest your marketing dollars wisely and your company will prosper. If you would like to discuss how this applies to your business, please email me at dellis@wilsonellisconsulting.com.